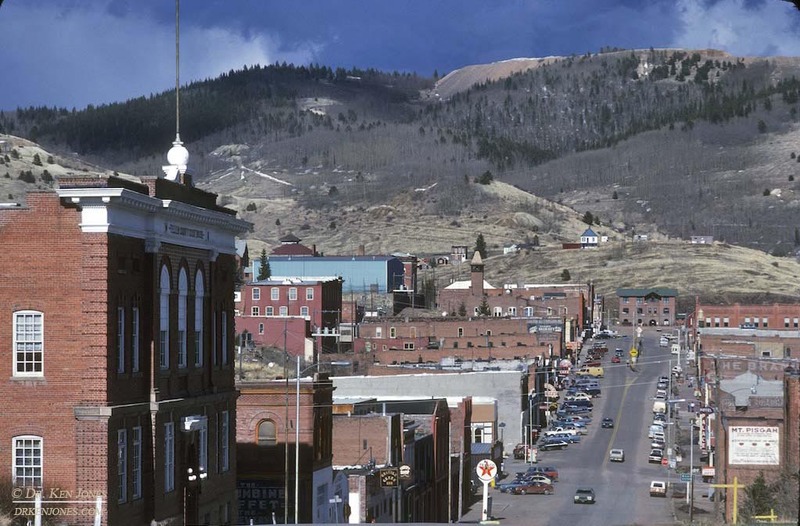 Going earlier in my slides, I found the same view in Cripple Creek in 1957. 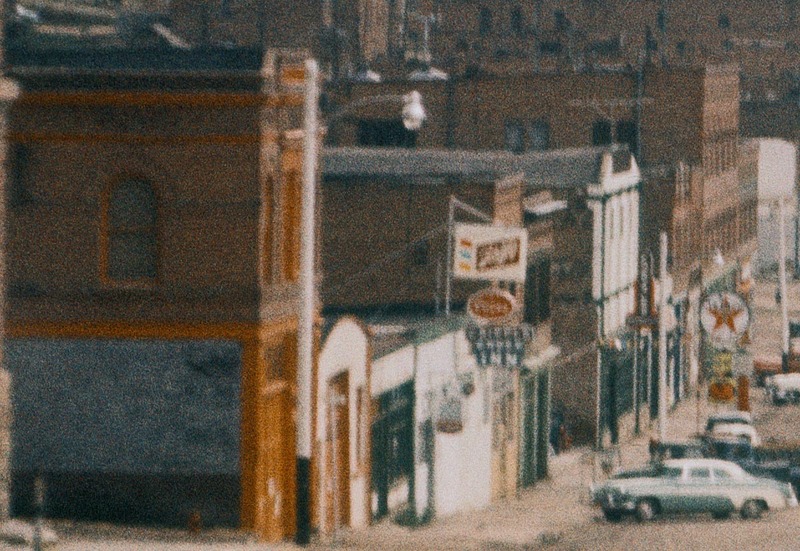 What this reveals is the location of the Wrigley sign in the previous post. 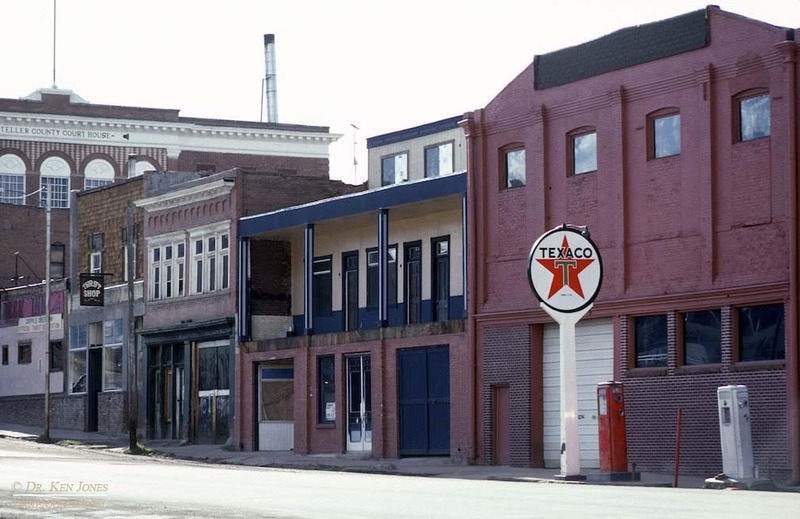 It is barely visible on the building between the Schlitz and Texaco signs. It was blocked by new construction by 1984, and appears to still be there – a time capsule. This was taken on Ektachrome which had faded to what appears to be totally red. My Nikon LS-4000 scanner plus VueScan software reconstructs the color pretty well. Pretty grainy however. Also, the Mt. Pisgah sign was not there, nor was the Columbine Buffet sign. I am currently scanning my slide collection – about 30000 slides, mostly family stuff. 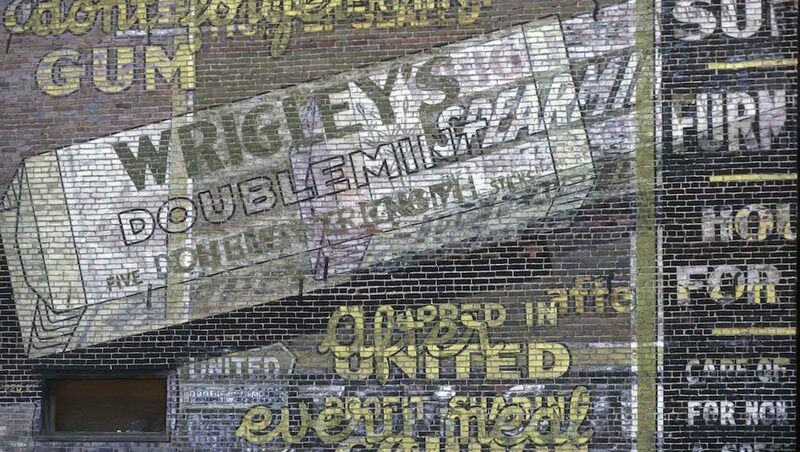 However, I have some photographs of ghost signs that I took way before I started this project. 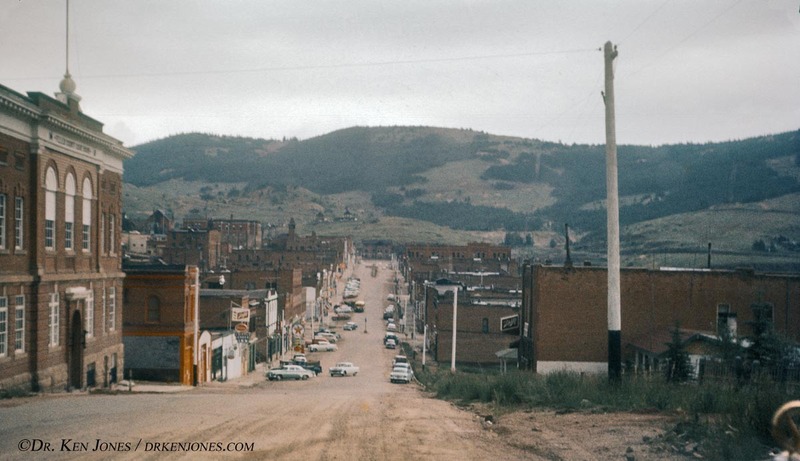 Here are some from Cripple Creek, Colorado, in 1984. Some signs are still there, some are gone. Many of the buildings have now been converted to Casinos, or have been replaced by new construction. 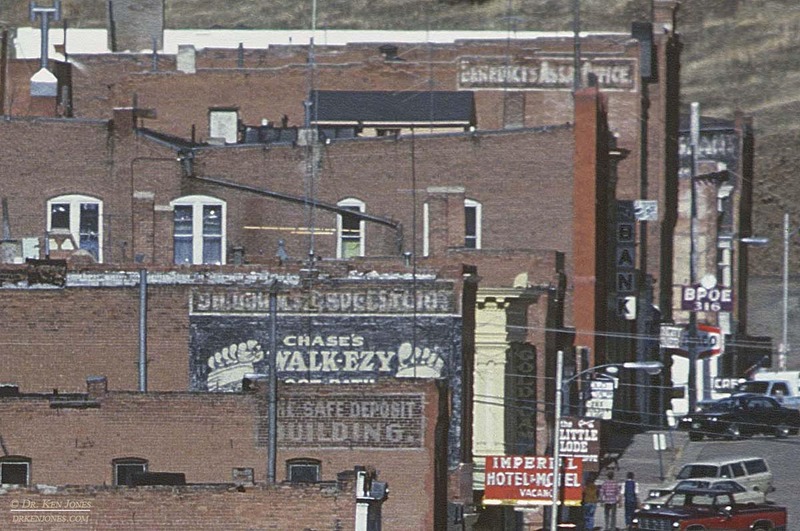 In an extracted area of the above slide, the wonderful Walk-Ezy sign is visible, along with the Assay Office and the Safe Deposit building. Across the street, the Mt. 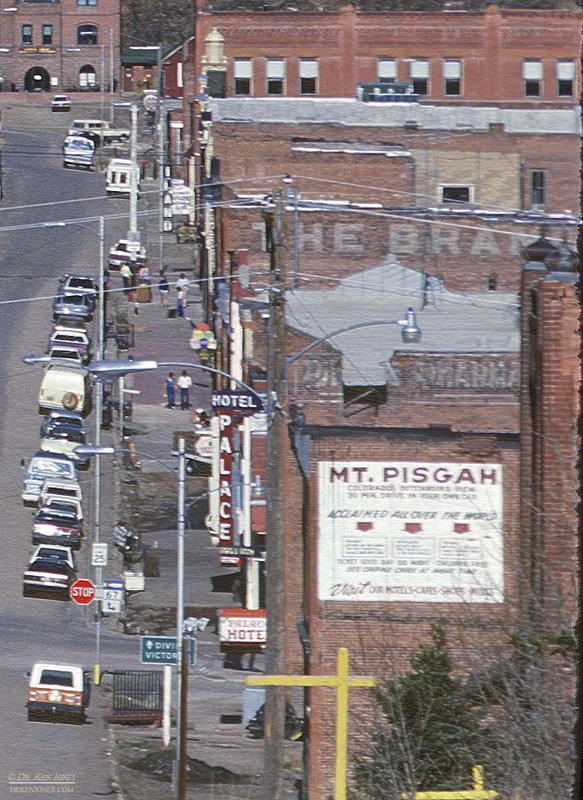 Pisgah sign is still there, but the top sign, the Bran…., is now gone. 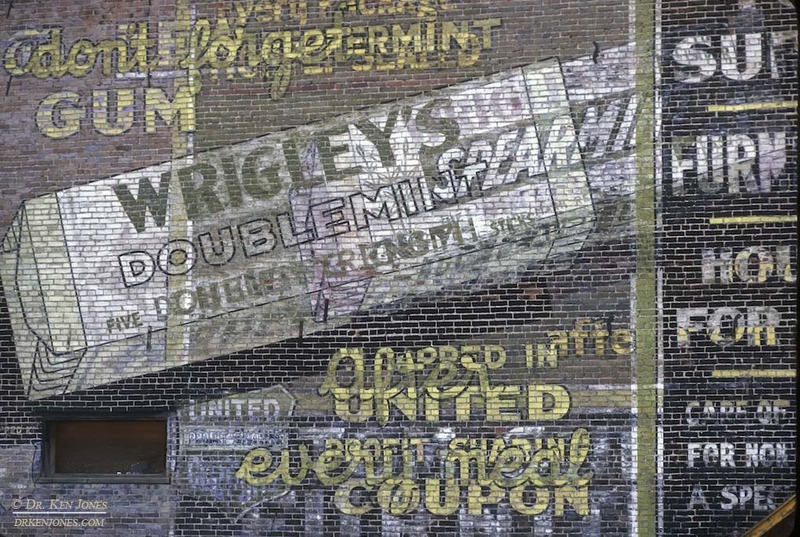 This Wrigley’s Gum sign is long gone, unless I didn’t look around the correct corner. I couldn’t find it in 2009, and it doesn’t appear in Google Street view. I wish I had photographed the entire sign! 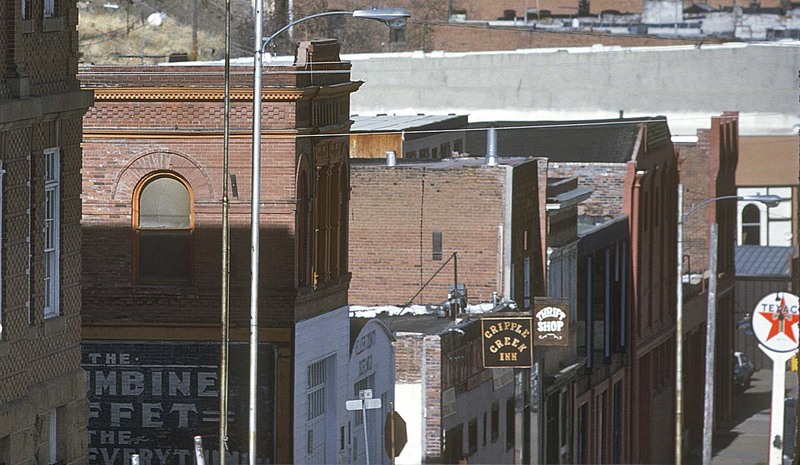 This group of buildings in the photo below are also gone, and a gap between building is there today. The building at the end of the block in the above photograph is still there, but the sign for the Columbine Buffet is now gone.